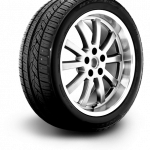 Looking for a tire dealer in Lodi WI? Did you say that you were looking for a tire dealer in Lodi, WI? Look no further, Ness Auto Sales & Service is the right choice to take care of all your automotive and tire needs. Selecting the right tire for your vehicle is an important decision. At Ness Auto Sales and Service, choosing the right tire is simple. Stop on in, we guarantee we can help you with your automotive and tire needs. Our helpful staff at Ness Auto Sales & Service in Lodi, WI is waiting for your call. We can give you a quick and easy quote over the phone. On the other hand, if you would prefer we can just as easily send you a quote by email! What makes Ness Auto Sales & Service the right tire dealer for you? We work with several different warehouses that make daily deliveries. If we do not currently have your tire in house, we can ensure it would be available within a day! Having your tires installed will not take all day. In fact, we will have you on your way in less than an hour after your appointment starts! Call us today to get your appointment set up! Did you say you needed other maintenance and repairs? No worries, we can install your tires during the same appointment! Call or email today for a competitive quote on tires! We believe automotive service shouldn’t be painful. With today’s fast paced world we know your time is valuable. We have several options available to help you make getting new tires as easy as possible. Free pickup and delivery in Lodi WI. Free Loaner cars not only when you purchase tires but for any service.